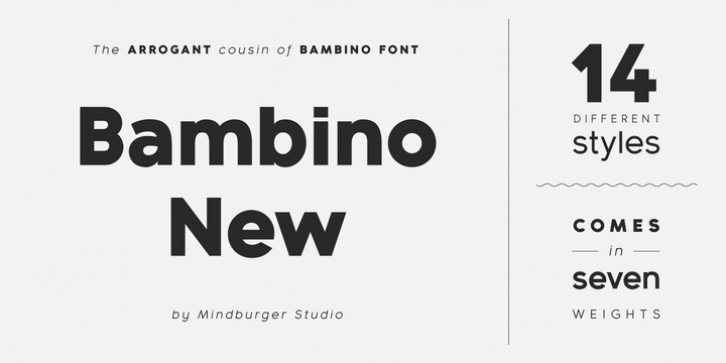 ‘Bambino New’ font family is a geometric sans serif with humanist readability. It comes in 7 different weights, 14 styles and plenty of OpenType features. It can be said it’s an arrogant cousin of Bambino font , mostly because of it’s legibility, personality and attitude. It’s been carefully crafted from the scratch and implemented with properly modified italics.